JACK Entertainment portfolio property Greektown Casino-Hotel has partnered with Rocket Fiber to bring Detroit’s fastest, most reliable internet to its hotel and casino. 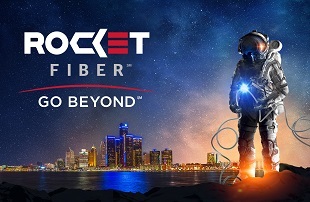 Rocket Fiber’s gigabit internet allows Greektown guests to experience ultra-fast upload and download speeds as well as lag-free video streaming, video conferencing and data transfers. Greektown Casino-Hotel successfully installed Rocket Fiber’s ultra-fast gigabit internet in its 400-room, high-rise hotel, which includes 10,000-square-feet of meeting and event space, in December 2017. It is set to complete installation in the casino by February 2018. JACK Entertainment’s Ohio properties also plan to upgrade their Wi-Fi networks with Rocket Fiber later this year. The upgraded Wi-Fi network is one of several enhancements Greektown Casino-Hotel is making this year. In May, the property will complete its transition to a bold new brand and become JACK Detroit Casino-Hotel and will debut exciting new dining and entertainment experiences.